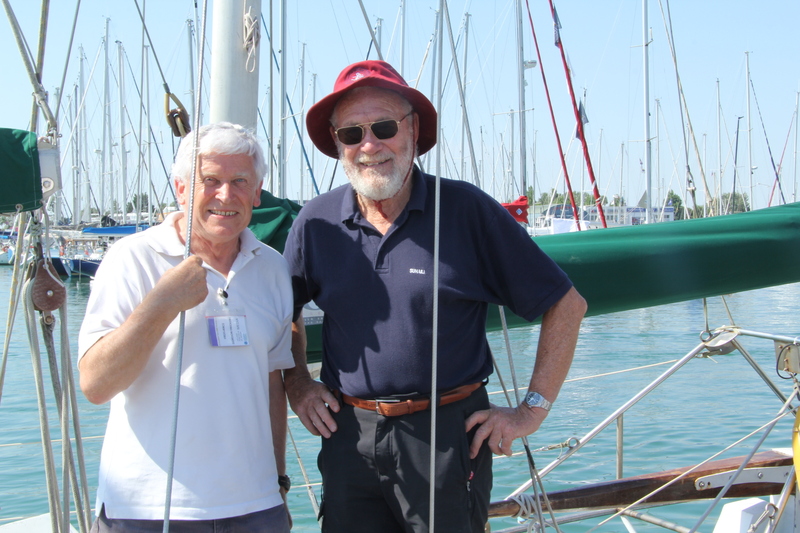 Last night, a pleasurable exchange of emails with Sir Robin Knox-Johnston which started with my wishing him a “very happy birthday”. Among other things he asked me if he can use the painting we created together for him and which he named, “Roaring Forties” to support a report he is writing. By the way this iconic painting is available as an impressive co signed print on canvas, from £157 inc P&P. Of course you may use the image for the purpose you described below. For you, free of charge, no question about that. Usually I try and get something in return, a modest fee, or at least my name and web site mentioned. I remember you telling me “I think it’s indecent not to make a modest profit “ so I try to take your advice !!! For you, I’m simply pleased to help. I’ll leave any ‘negotiations’ entirely with you. If needed I can send a high rez copy. “Actually I have been wondering what you will write and say about the 5 dismastings so look forward to seeing a copy. If I can have a copy that would be a bonus. 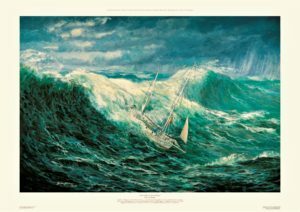 On the subject of which you may know, YM are to publish a piece [copy attached, for the moment, your eyes only please] about “Roaring Forties” later this month. I was asked by Theo how did I paint it so wrote a piece for him. One of his people slightly edited it. It’s more or less as I wrote so it’s the cat for my back not theirs if you don’t approve”. This entry was posted on Wednesday, March 20th, 2019 at 7:17 am	and is filed under diary. You can follow any responses to this entry through the RSS 2.0 feed. Both comments and pings are currently closed.